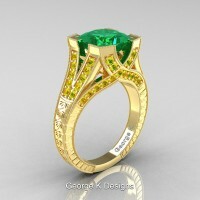 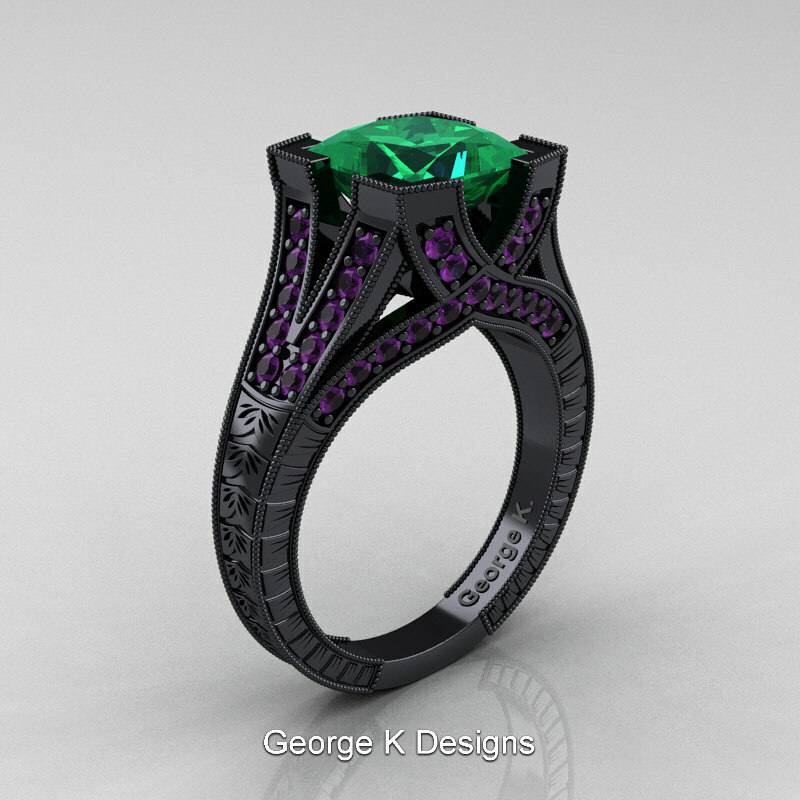 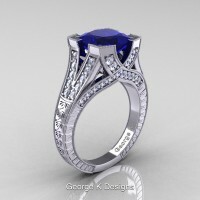 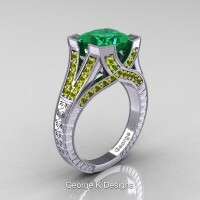 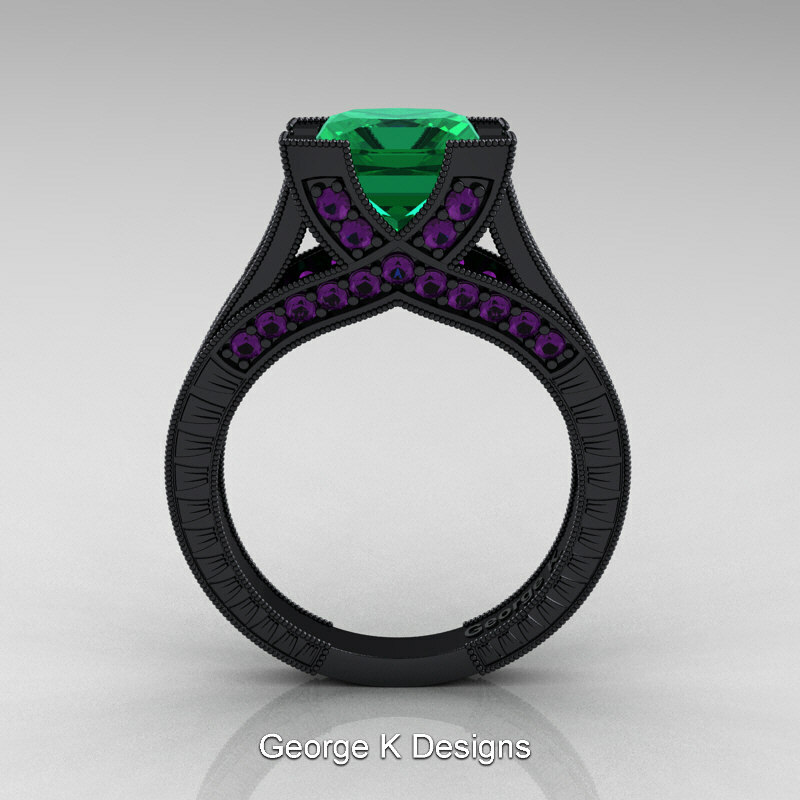 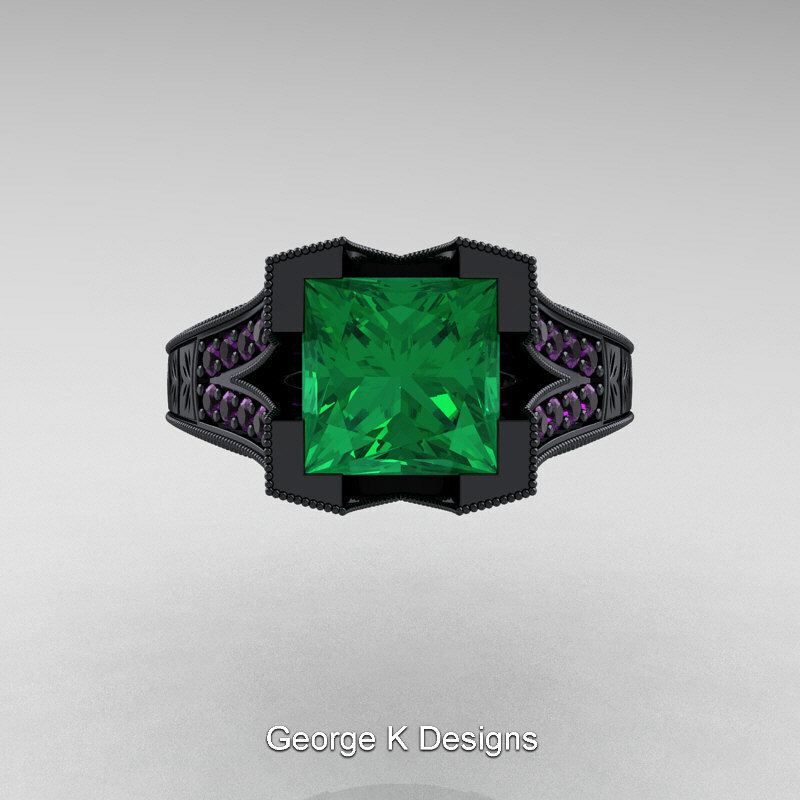 Exclusive, luxurious and rich, the Modern Vintage 14K Black Gold 3.0 Ct Princess Emerald Amethyst Engraved Engagement Ring R367P-14KBGAMEM by George K Designs evokes absolute glamour and elegance and is sure to please the most discriminating feminine taste. 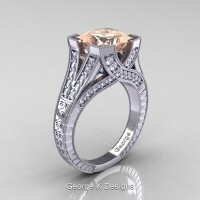 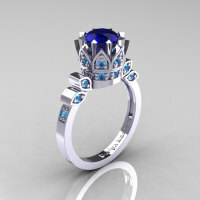 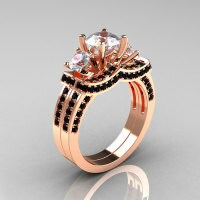 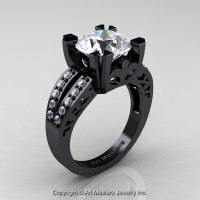 Crafted for your special moments, this modern vintage engagement ring is a sight to behold. 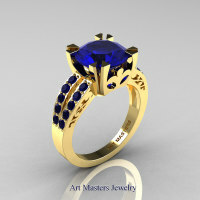 Be the first to review “Modern Vintage 14K Black Gold 3.0 Ct Princess Emerald Amethyst Engraved Engagement Ring R367P-14KBGAMEM” Click here to cancel reply.